Soaring melodies, stirring harmonies, and poetic lyrics defined the enchanting ballads of the last century. 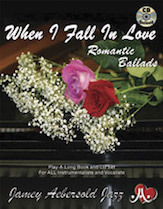 This historic collection, a natural progression from the popular Volume 32 - ""Ballads"", represents one dozen passionate standards from the golden age of song writing. Includes lyrics.